UPDATE: The primary website for the MOOC is now live and all content development is happening on GitHub. Let’s build an Open Science MOOC and change the world! Members of the global community are coming together to build a powerful educational tool for researchers. At the present, this is entirely volunteer driven, and all progress and files can be tracked on Google Drive, where anyone can also contribute. Research is getting a global makeover, in part thanks to the power of the internet and the tools it provides for us, and in part due to a growing call for accountability (e.g., reproducibility and data provenance) in research. Global policies are emerging at different levels that include some aspect of ‘Open Research’, ‘Open Scholarship’, or ‘Open Science’, and inclusive of all research disciplines. But our universities are letting us down, and they are not teaching us the tools we need to do research effectively in the 21st century. Open Science is about increased rigour, accountability, reproducibility. It is based on principles of inclusion, fairness, and sharing. We see Open Science simply as research done properly. This MOOC is designed to equip students and researchers with the skills they need to excel in a modern Web-based research environment. It brings together the efforts and resources of hundreds of researchers who have all dedicated their time to making research just that little bit more awesome for us all. The content MOOC is distilled into 10 core modules. Each module will comprise a complete range of resources including videos, research articles, dummy datasets and code, as well as ‘homework’ tasks to complete as individuals. Because you don’t learn how to do Open Science by reading; you learn by doing it. At the present, the project is in the early development stages. The course outline has been drafted, and the structure for content for each is being fleshed out. The project currently receives zero funding, and is driven entirely by volunteer efforts contributed by the global community. The MOOC will be hosted through Moodle, and we have currently obtained a hosting platform for the site. We are currently looking for small grants for an artist to assist with illustrating the MOOC, as well as with general development. All of this is visible in the Google Drive folder. Communications occurs via Slack, and we are in the process of establishing a Steering Committee. Want to get involved? Email me! A current and editable list of volunteers is maintained here. 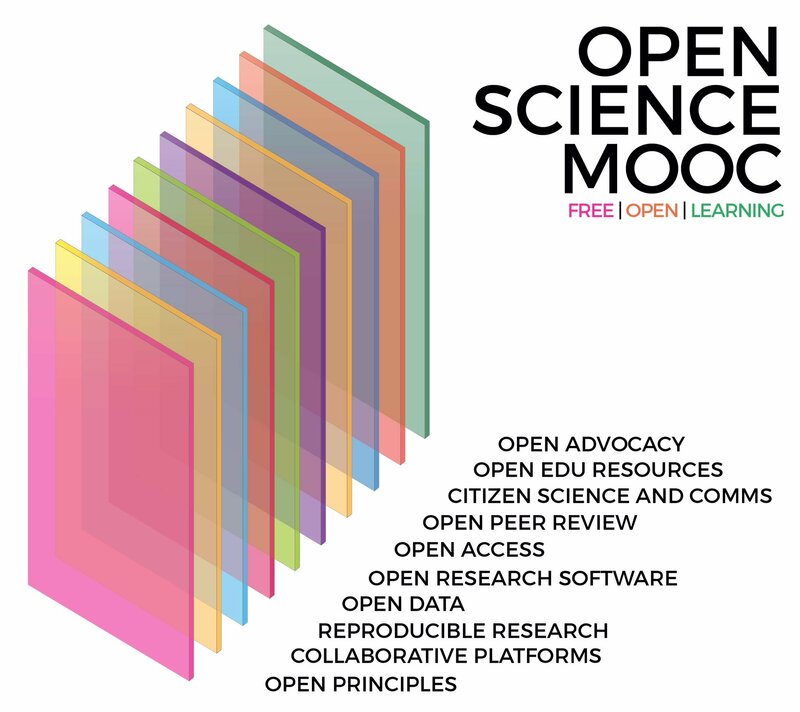 Building an Open Science MOOC – Spring update!